Obituary for Frank S. Gaudio | Dalfonso - Billick Funeral Home Inc.
Frank Salvatore Gaudio, 89, of Monessen, passed away at his home with his family at his side, on Thursday Dec. 6, 2018 He was born on August 20, 1929 in Monessen, the son of the late Eugenio and Maria (Moio) Gaudio. He was also preceded in death by a sister Mary Gaudio Orris, twin sibling who died at an early age, and by a great grandson, Jude Francis Marano. A life-long resident of Monessen, he was very active in baseball his entire life. He was a star and captain of his Monessen High School baseball team, the MVP of the Monessen Legion team, and played professional Minor League Baseball in Kentucky. He enjoyed and joyously provided knowledge of baseball to the youth of Monessen. His love of baseball resulted in countless hours of volunteering his time coaching in the Bronco, Colt, Pony, Legion, and High School baseball leagues. He served his country as a member of the U.S. Army during the Korean War and was stationed in Alaska. After the war, he was an active member of Post 1190 VFW and Post 28 American Legion, including service as a member of the Color Guard and as Secretary of Post 28 American Legion. He was also an active member of the Italian American Heritage Society in Monessen and the retired steelworkers (SOAR). He was married for 63 years to Dolly (DeMillion) Gaudio and is the beloved father of Dr. Frank (Kathleen Joyce) Gaudio, John Gaudio, and Gloria (Dr. James) Cilke. 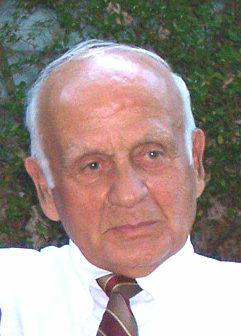 He is the cherished grandfather of Marie Gaudio (James) Marano, Brian and Sean Gaudio, and Carl and Francine Cilke. Friends will be received on Sunday Dec. 9th from 2 to 6 pm in Dalfonso-Billick Funeral Home Inc. and Cremation Services, 441 Reed Avenue, Monessen. Services will be held on Monday Dec. 10th, beginning with a 9:30 am Blessing in the funeral home, followed by a 10:00 am Funeral Mass in Epiphany of Our Lord Church, with Rev. Michael J. Crookston officiating. Entombment with Military Honors will follow in the Grandview Cemetery Mausoleum, Monessen. The American Legion Post 28 and VFW Post 1190 will conduct a joint service on Sunday at 3 pm in the funeral home. In lieu of flowers, the family requests donations to be made to St. Jude Children's Research Hospital, P.O. Box 1000, Dept. 495, Memphis, TN 38101-9801. Condolences accepted for the family at www.dalfonso-billick.com.